Many boat owners abandon the idea of seeing other parts of the world on their own vessels because they have a belief that shipping their boat is difficult. While we understand why many people might think this, we are here to dispel that belief. 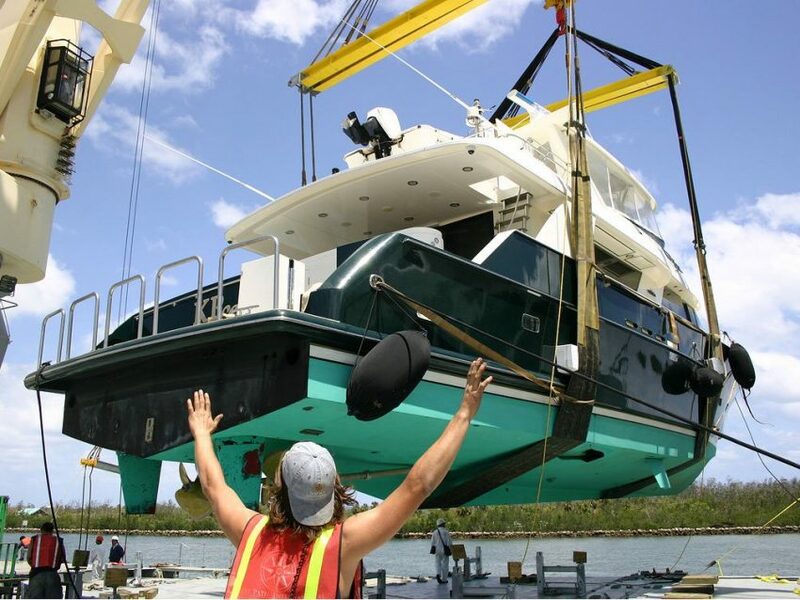 United Yacht Transport has been perfecting yacht shipping for decades, and all of that experience comes in a lot of use when working with new clients. We thought we would compile this article to help boat owners learn about the yacht shipping process so they can access more of what the world has to offer. Let’s dive in. Make Contact – The first order of business is to reach out to our team. This is when we will want to learn more about the vessel owner, the vessel being transported, and what destination the owner would like their yacht to go to potentially. There is no obligation when calling, we are happy to answer questions and start the conversation around possibilities. Request For More Information – Vessel owners who wish to pursue the next step would want to compile information about their boats such as, Length Over All (LOA), the beam measurement, height, and weight. We will then start talking about destinations and routes and compile the possibilities. When we get a sense of what the vessel “is” and where the vessel is going, we will want to know more about personal insurance coverage. We can help our clients get risk liability coverage, so they are covered for the voyage. Set up Dates and Discuss Logistics – Once insurance is in place, we can discuss potential dates and time tables to move the vessel to the desired location. We will go over how we need the vessel delivered to our location and how to prepare the boat for transport. Then, we will explain what will happen once the boat arrives and what we will need from the owner. We always suggest owners are onsite during the load-in day. Load-in Day – This is an exciting day, and maybe a little bit of a scary one. We walk our clients through every step of the load-in process so our clients know the vessel is onboard our ship and ready for transport. Communication – After the ship shoves off, we keep the client in the loop for the duration of their transport. We welcome check-ins and let the owners know how everything is going. Vessel owner’s next job is to prepare to depart to meet their vessel on the other side. Delivery – Delivery differs from country to county. We will handle the customs and regulations process and let clients know if anything special is needed from them. Sometimes this process takes a few days, other times a few hours, it just depends on where the vessel is headed. Enjoy – Once the vessel is handed back to the client, they are free to explore. We can schedule return transport just as easily, even before departing our South Florida location, so feel free to have the discussion early on in the process. Ready to take the next step in shipping your yacht overseas? We welcome inquiries and are on standby for your call.